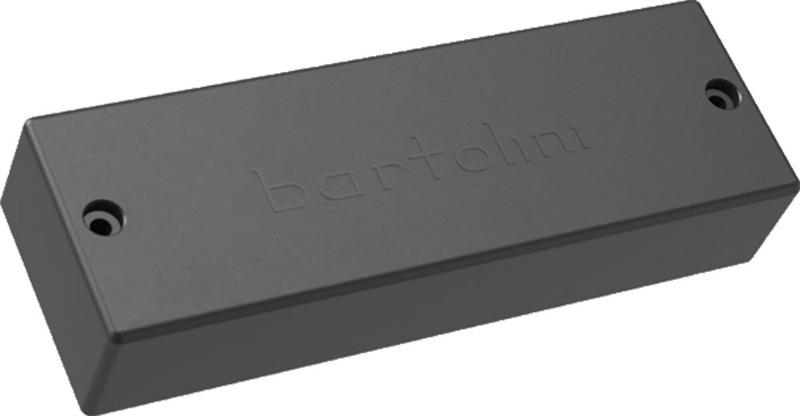 The Bartolini M56CBC-T is an M5 Soapbar shaped bass pickup for the bridge position in a 6-string bass. The standard-sized pickup is 4.50"/114.30mm long and 1.50"/38.10mm wide. The dual coil design features powerful lows and low-mids with bright treble. The "Classic Bass" series bass pickups are passive designs featuring an extended and more resonant frequency range. They have far more "air" and definition at the top without sacrificing lows and low mids. They are cast in epoxy to remove unwanted feedback and microphonics. Bartolini pickups are precision magnetic transducers designed and manufactured to bring out the fullest response from electric guitars and basses. Each pickup is hand assembled from selected materials and carefully tested for output level, square wave response, hum level and microphonics. All Bartolini pickups carry a one year warranty for defects in workmanship or materials.